I noticed a nice difference in my energy level while taking Ashwagandha Liquid Herbal Extract by Planetary Herbals. I was a bit concerned about the grain alcohol so I let in sit in the glass for a few minutes and it seems to dissipate. 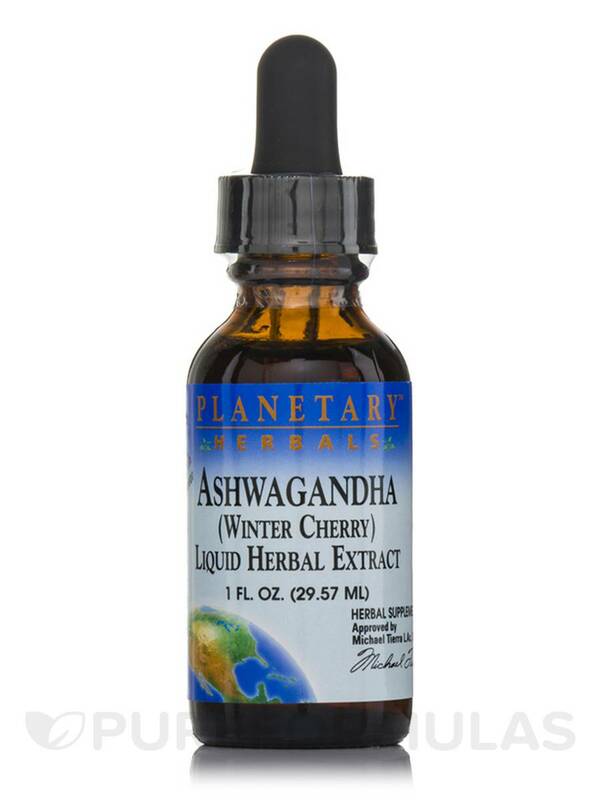 Ashwagandha Liquid Herbal Extract from Planetary Herbals may potentially help you adapt to mild‚ day-to-day stress. People of all ages face different types of stress factors‚ which can eventually have a negative influence on overall health. Some people find relief with the help of exercise and meditation‚ while others tend to rely on herbalism. This efficient Ayurvedic supplement might be a good option for relieving mild effects of day-to-day stress. Ashwagandha or Withania somnifera is among the most revered botanicals in a 5000 year old Ayurvedic tradition from India. Ancient herbalists considered ashwagandha as a rejuvenating tonic and it might have properties of an adaptogen. An adaptogen is a compound that could help the body adapt to effects of stress. Adaptogens might potentially increase resistance against external stress factors‚ have a balancing effect on the body‚ and stabilize normal functions. Modern research shows that ashwagandha‚ as present in the supplement from Planetary Herbals‚ might be able to improve several areas of health. 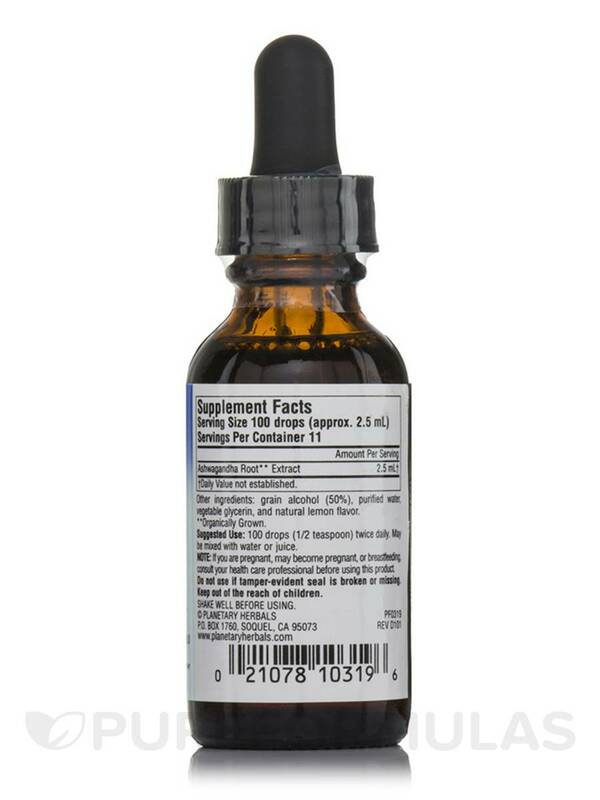 Ashwagandha Liquid Herbal Extract from Planetary Herbals uses only premium quality ashwagandha extracts to provide you with a supplement of superior quality. Grain alcohol (50%)‚ purified water‚ vegetable glycerine‚ and natural lemon flavor. Take 100 drops (1/2 teaspoon) twice daily. May be mixed with water or juice.